Mercedes got used to being first in many things, it got itself accustomed to being groundbreaking and in front of the competition most of the time. But till now they failed to leave that impression in the world of electrification. The current offer of electric B-Class is rather bland with disappointing and uncompetitive 87 miles of range. BMW formed its “i” sub-brand whole six years ago, while i3 has been with us for four years. Audi is planning to storm the market with EVs, promising three of them in the next three years and we are just a year away from Jag’s I-Pace. Nissan already created an icon with Leaf, while Chevy might be on the way with Bolt. Let’s not even go into the realm of Tesla which managed to pull more than just decent sales numbers in still undeveloped part of the automotive world. So, Merc needs to catch up, and 2020 Mercedes-Benz EQ SUV might be the step in the right direction. 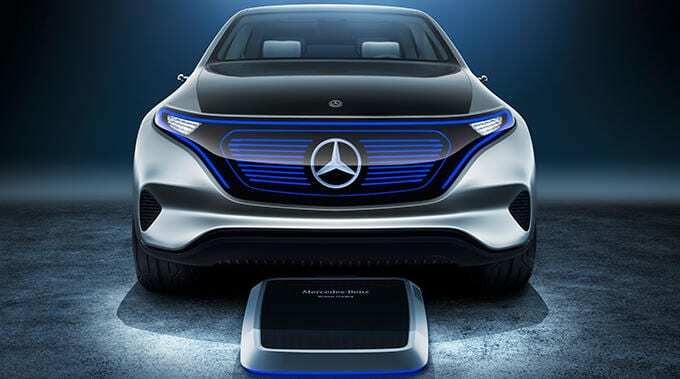 It is future electric SUV from Mercedes slated to arrive in 2019. Stuttgart is currently investing $560 million in a factory located in Germany in charge of production of lithium-ion batteries, let’s say German version of Tesla’s Gigafactory, which should start operating next year. If you are wondering why going so big from the get go, just note that Merc plans to form EQ sub-brand and offer no less than 10 EVs by 2022. First one is subject of our conversation, and it will represent production version of recently presented Generation EQ SUV concept. Future design of the upcoming model should use cues from mentioned concept. In fact, the exterior of the concept, besides some futuristic touches looks pretty grounded and close to production. Futuristic side of it is satisfied with cameras instead of mirrors and black panels front and rear that house lighting. At the front, we have a blue grille with a glowing white badge, while at the back we have usual colors in use by tail lights. Keeping the fact that electric motors don’t need air, closed “Black Panel” front grille is probably destined as a signature move for all future brand’s EVs. Interior of the concept is much more unconventional. You won’t find any buttons or knobs on the inside apart from seat adjustment shaped in current fashion and located on the doors, which was pretty neat move in elegance sense. The cabin is driver oriented, which we don’t have in the current lineup, and in front of the driver sits large 24-inch screen. The lower center console is another display, and even steering wheel’s spokes house OLEDs which are touch sensitive. 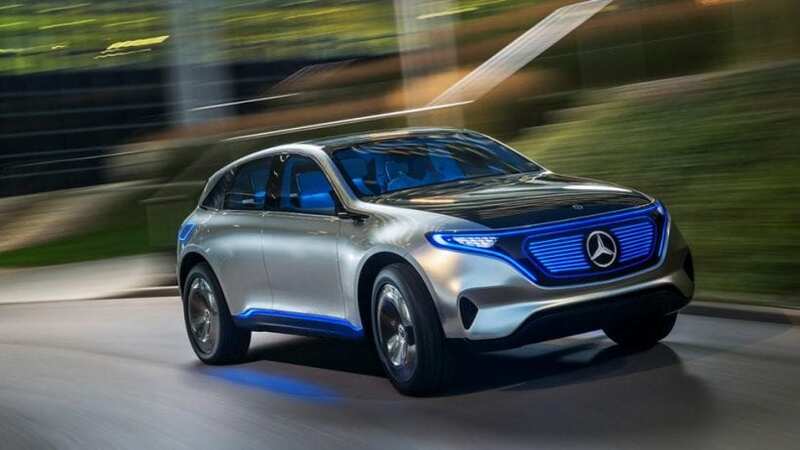 Design is very elegant and classy in latest Mercedes’s manner, coupled with some nice touches as blue ambient lighting, while we are left to see how much of that “screening” is going to materialize when 2020 Mercedes-Benz EQ SUV eventually hit the streets. Underneath the concept’s sheet metal, we have two electric motors, one for each axle, which also means that power is sent to all wheels with available torque vectoring. The battery is located in the floor between axles indicating that boot stays intact and that the center of gravity is going to be fairly low. Total power from both motors is 415 hp and 516 lb-ft of instantly available torque, while the run to 60 mph should be done in less than 5 seconds. For the end, the range is around 300 miles, and we don’t see any problem in production version trying to mimic mentioned figures.